Serving Sarasota and Manatee Counties including Sarasota, Bradenton, Lakewood Ranch, Longboat Key, Siesta Key, Anna Maria, Holmes Beach, Bradenton Beach, Lido Beach, Parrish, Palmetto, Venice, Osprey, Nokomis and Myakka City. This is a map of homes sold by the Florida Gulf Coast Group partners. 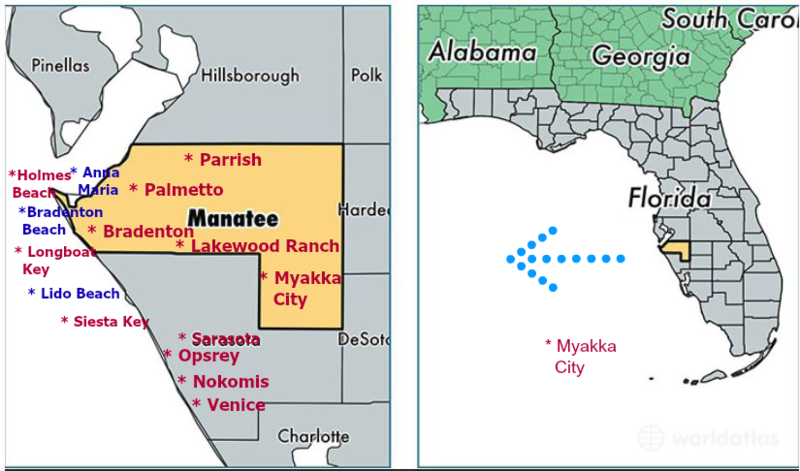 The Florida Gulf Coast Group believes that a home is not a home because of its room dimensions or the color of the walls. It is about how you feel when you walk through the front door. It’s about the nightly sunsets you watch from your own back porch. It’s the way you can feel completely relaxed just by pulling in the driveway. It’s the place you find solace and the place you invite friends. It’s the one place where you can just be yourself. It’s where you go to rejuvenate. It’s the memories of the life you have built or the promise of the life still unfolding. It truly is an extension of yourself. Finding your home is about more than real estate. It is about your life and your dreams. We know what it is about and we are humbled to be a partner in the pursuit of your dream! The Florida Gulf Coast Group with Keller Williams Realty takes a different approach to real estate, one that is built on personal touches, win-win deals and positive results. As Keller Williams Realtors, we utilize the latest technologies, market research and business strategies to exceed your expectations. More importantly, we listen and that means we find solutions that are tailored to you. We expect that you will be so completely satisfied with your home purchase or the sale of your existing home that we will become your Realtors for life!